Cataract surgery can be performed at any stage of cataract development. Cutting directly into the capsule of the cloudy lens is the most effective method of treatment. This is called a capsulotomy. The natural lens is completely removed and replaced with a synthetic lens. The two main types of cataract surgery are intracapsular cataract extraction (ICCE) and extracapsular cataract extraction (ECCE). Extracapsular cataract extraction is more commonly used in modern day practice. It allows the surgeon to remove the lens without damaging the lens capsule. A surgeon may use phacoemulsification, or high-frequency sound waves, to break apart the lens prior to extraction. Intracapsular cataract extraction is rare in current medical practices. While this method of surgery still offers the same visual benefits as ECCE, medical professionals prefer to leave the lens capsule intact. Extenuating circumstances, such as eye trauma, may result in the necessity of performing an ICCE. Both ECCE and ICCE will help restore a patient’s vision. Immediately following cataract surgery, a patient may need to wear glasses. This is only temporary. The new synthetic lens implant is permanent, and the patient should experience clearer eye sight once the eye has healed. Cataract surgery is a common procedure, and many patients heal properly. According to the American Society of Cataract and Refractive Surgery (ASCRS), approximately 3 million Americans receive cataract surgery each year. Frequently referred to as an “after-cataract,” is a common physical response after cataract surgery. The posterior capsular cells migrate, appearing as a new cloudiness in the posterior lens capsule. This can cause a renewed case of blurred vision, but it can usually be corrected with a laser device. Can cause complications during the surgery. The tears occur during ECCE procedures, when the surgeon accidently ruptures the posterior capsule of the natural lens. Approximately 5% of surgeons make this mistake. Does not directly impact the patient’s vision. It does affect the development of serious pathologic conditions affecting the edges of the retina. These pathologic conditions may then affect the patient’s vision as a delayed, more indirect result of PVD. Causes the retina to separate from the vitreous body. This can occur at any time after a cataract surgery. It is not common, but it will cause serious damage to the patient’s eye. May occur after cataract surgery. It is a non-infectious inflammatory condition. It can frequently be treated with high dosages of topical corticosteroids. However, corticosteroids are a known risk factor for cataracts. TASS can cause a vicious cycle of vision problems for the patient. Can result from surgery or penetrating eye trauma. It is a severe infection of eye tissues. The clear cornea incision during cataract surgery is believed to predispose a patient to this type of infection. Is a cloudiness of vision usually associated with swelling and heightened blood pressure within the adult eye. It may occur after cataract surgery and is extremely difficult to control. Patients with diabetes are predisposed to developing glaucoma. If any post-surgical complications occur, it is important for the physician to identify and properly treat the new medical issues. Surgical error and failure to identify additional problems before or after cataract surgery can have dire effects on the patient’s eye sight. These complications can indicate further blurred vision or blindness for the patient. 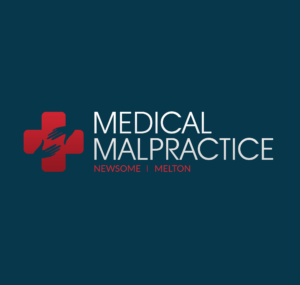 Illegitimate loss of vision can result in a medical malpractice suit. Albiani, David, et al. “The consequences of waiting for cataract surgery: a systematic review.” CMAJ: Canadian Medical Association Journal 24 Apr. 2007: 1285+. Academic OneFile.Web. 31 May 2012. Arshinoff, Steve A., and Jonathan A. Micieli.”Five things to know about … cataract surgery.” CMAJ: Canadian Medical Association Journal 4 Oct. 2011: 1621. Academic OneFile.Web. 31 May 2012. C Owsley, et al. “Effect of Cataract Surgery On Falls And Mobility In Independently Living Older Adults.” Journal Of The American Geriatrics Society 54.7 (2006): 1089-1094. CINAHL Plus with Full Text.Web. 31 May 2012. MumtazChaudhry, Muhammad, Muhammad MubasharJalis, and Afzal Khan Niazi. “Cataract Surgery Retrospective Analysis Of Cases Of Acute Endophthalmitis After Surgery.” Professional Medical Journal 18.2 (2011): 295-299. Academic Search Complete.Web. 31 May 2012.